• Formula Renault Eurocup points leader Christian Lundgaard set to enter the fray on the streets of Pau alongside strong starter Alex Peroni. 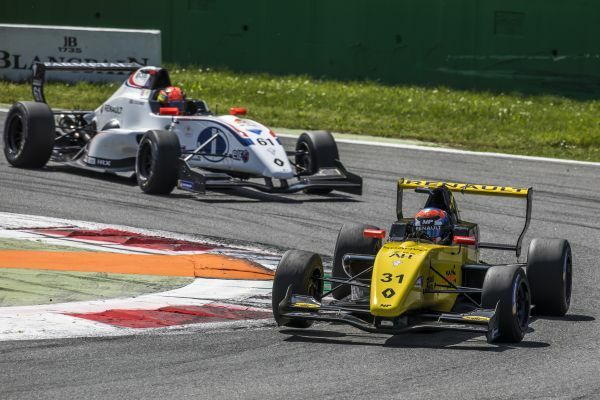 • MP Motorsport the latest in a succession of leading European single-seater teams to confirm entry to iconic street race, set to be held between May 11-13. • Double header will set the scene for another action-packed campaign with 16 potential race winners now set to battle for the perfect start to 2018. MP Motorsport have confirmed Formula Renault Eurocup points leader Christian Lungaard and race winner Alex Peroni will contest the NEC season opener on the streets of Pau next month [11-13 May]. 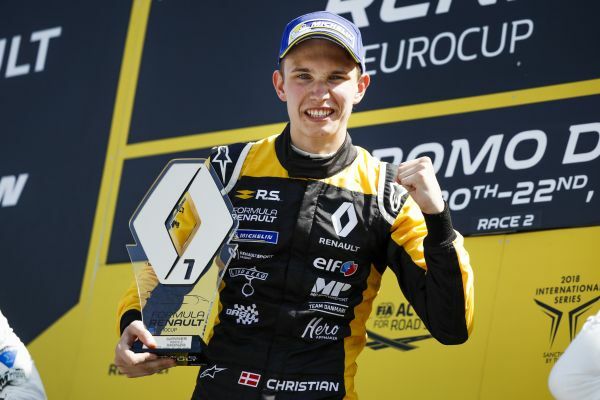 The Dutch outfit, who won two races in the NEC last season at Assen through Richard Verschoor and Neil Verhagen, have started brightly in Renault Sport Racing’s premier single-seater series with a victory last time out at Monza handing Renault Sport Academy driver Lundgaard the standings lead. Peroni is no stranger to success in the historic French town, with the Australian claiming his first pole position and race victory in the Eurocup in the Pyrénées last season. Though the 2016 VdeV champion is yet to celebrate silverware thus far in 2018, his encouraging performance and consistency, rewarded with top eight finishes at both Paul Ricard and Monza, mark him out as another name to be reckoned with. Both will come under a stern test, not least from the tight, unforgiving 2.76km street circuit, nor the host of experienced single-seater teams and rising stars set to fight for victory in the season-opening double header. The weekend also serves as the perfect preparation for both team and drivers as they prepare for a support race slot at the world-famous Formula 1 Monaco Grand Prix a fortnight later. After Pau, the NEC takes in further stand-alone events at Monza and Hockenheimring alongside three shared events with the Eurocup at Circuit de Spa-Francorchamps, Nurburgring and the Hungaroring, with both series committed to developing the next generation of motorsport stars. Sander Dorsman, MP Motorsport said, “Pau is a fantastic event, it’s a very challenging circuit - in some ways more of a street circuit than Monaco and it’s always well attended and very competitive. “The main purpose for us competing is to get some extra mileage, particularly for Christian [Lundgaard] as he’s never raced on a street circuit before. With the Eurocup's support race at Monte-Carlo this is our priority, but it’d be nice to take home some silverware from the event as well.